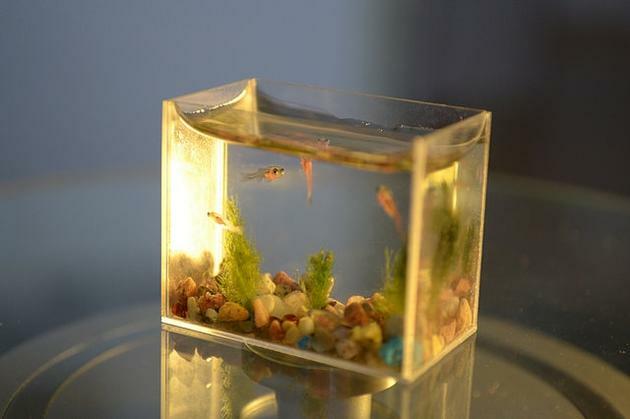 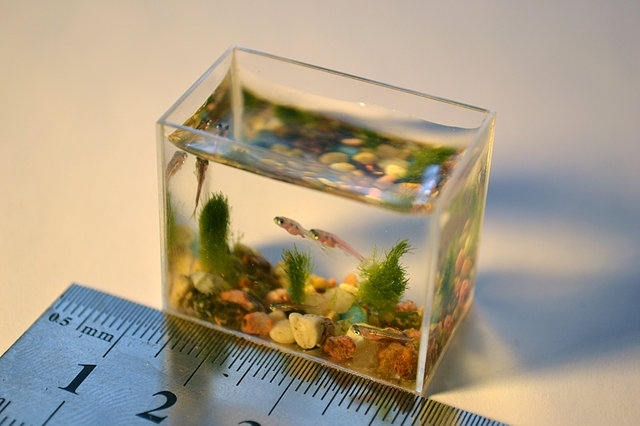 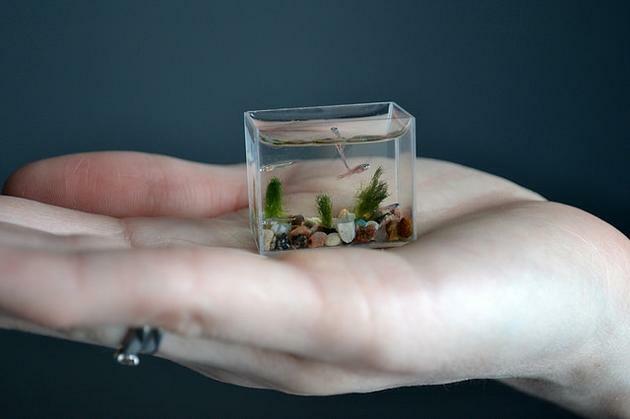 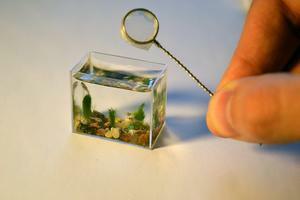 This tiny waterworld was created by brilliant Russian craftsmen Anatoly and Stanislav Konenko. 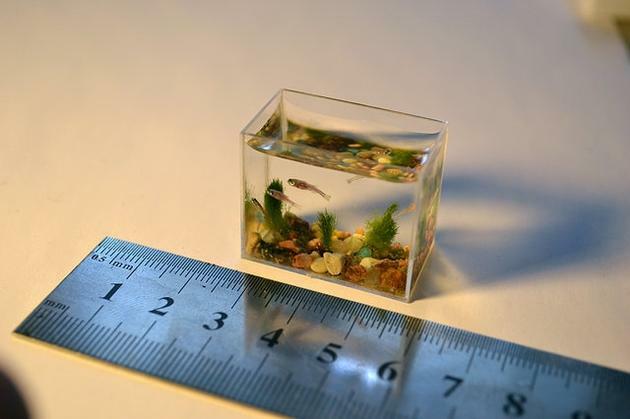 Its longer side is about 3 cm and it hosts several miniature zebrafishes. This post has been viewed 8,849 times. 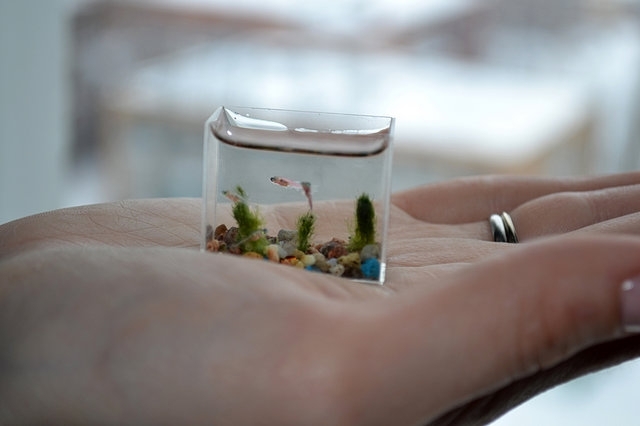 This amazing fish tank is located in Berlin, Germany inside of a hotel/office building complex. 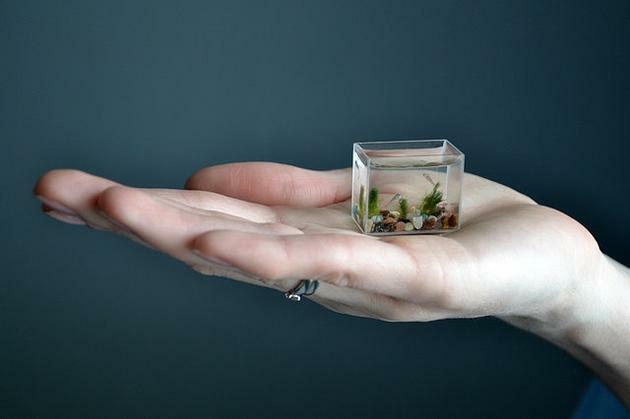 It is 25 meters tall and is built out of acrylic glass. 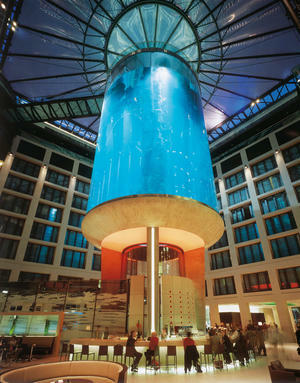 It has a see-through elevator inside of the cylinder and cost about 12.8 million euros.